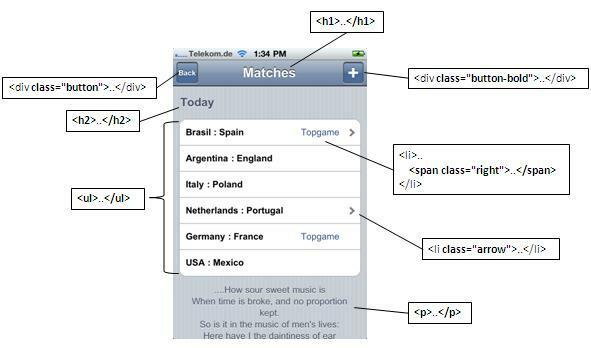 This stylesheet gives your HTML 5 pages and web applications the look of the iPhone 4. Download the CSS theme for free or see our example page on your iPhone-Safari or on another browser. How do I use the stylesheet? Embedd lines 3-5 into the header of your HTML file: The meta tags you see in line 3 and 4 optimize the visualization on mobile devices. The iphone.css stylesheet is linked at line 5 to the HTTP file. In the body you can see a sample of how to use the stylesheet rules to get the iPhone 4 look for your application.